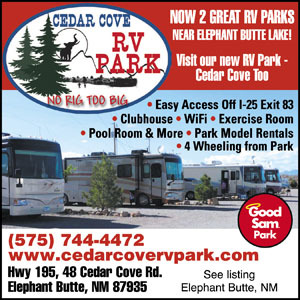 Cedar Cove RV Park has 2 locations at Elephant Butte Lake. 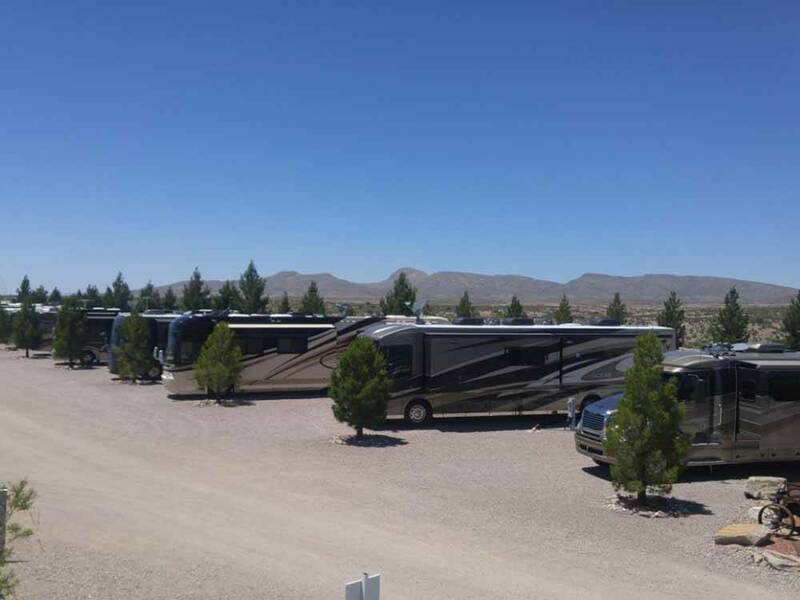 Xtra large sites, 32x80 with lots of room for lake toys & 4 wheelers or ATVs. New rental cottages, workout room/gameroom/wet bar. Extra Clean with a friendly welcome! Furnished park models with Direct TV, AC, and patio with awning and patio furniture. As advertised, definitely big rig friendly; our short term pull-through site could handle any length rig (plus toys). Facility is fairly large with different areas / levels, both long term and over-night sites. Sites and roads are gravel. Nice restrooms, showers. Friendly management. Although we stayed just a few days, their monthly rates are very attractive. We would return. We stayed one night. Campground is well off the beaten path. There is some noticeable interstate traffic sound ... but not distracting. A very pleasant, clean and quiet facility. We will return as it was a positive experience.